If you're looking for soaking along with a hike, head to Big Bend National Park in West Texas, where a series of thermal springs runs adjacent to the Rio Grande River there. Along the hike, you'll see the ruins of Langford Hot Springs resort built by the Langford family back in the early 1900s. The original bath is still popular with soakers today. A 2.5-hour drive from San Francisco, this charming rustic resort is an institution with soakers seeking rest and renewal in the waters here. It is modeled after the Japanese onsen (hot springs) tradition with long "flumes," or pools, of water that are clothing optional. Accommodations range from camping to cabins and don't come cheap. About two hours from Denver, this very rustic resort allows visitors to be pampered on the cheap; $18 gives you entrance to the 22 hot-springs pools of varying temperatures. Pool hopping in the snow is particularly invigorating. Spend the night in one of the basic rooms for a longer visit'so long as you like the sound of a train in the distance (train tracks near the rooms are active all night). Less than an hour from Santa Fe, Ojo Caliente is one of the oldest spas in the country. Guests here can discover respite in the healing warm waters, spa treatments, organic food, or hiking on one of the nearby trails. You can come soak for the day, camp, or stay in a luxury suite. Tucked into the mountains of Western North Carolina, this resort offers a hot-springs experience for individuals not so keen on communal soaks in natural pools. Here, you get a secluded Jacuzzi tub along a scenic river that's continually filled with hot mineral water piped in from the ground (the tubs are washed and sanitized after each use). Every type of accommodation is possible, from camping to cabins and suites. 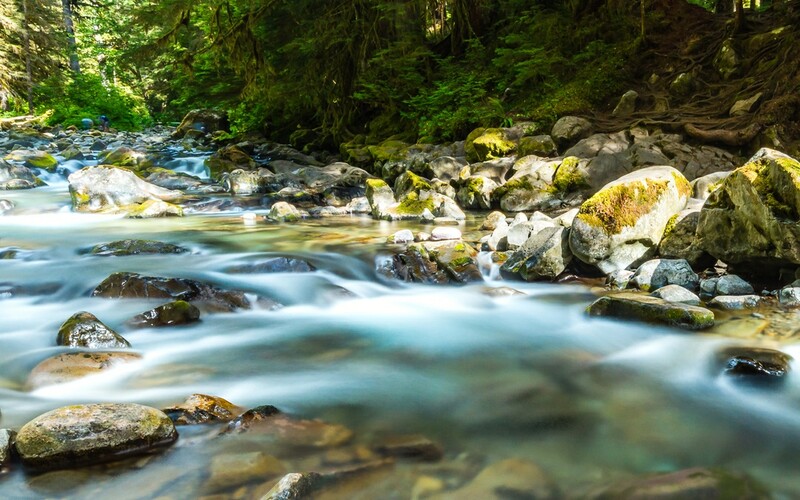 Tucked amid old growth forest in one of the most stunning national parks in the United States is Sol Duc. With three mineral pools, cabins, restaurants, hiking trails and scenery to die for, this is truly a not-to-be-missed location.